These players will participate in the group stage in Los Angeles. Seven players have been chosen to represent the United States Overwatch World Cup team at the group stage event in Los Angeles, California next month. Houston Outlaws’ Austin “Muma” Wilmot and Los Angeles Valiant’s Indy “Space” Halpern take over for the tank position, while Los Angeles Gladiators’ João Pedro “Hydration” Goes Telles, Fusion University’s Zachary “ZachaREEE” Lombardo, and Jay “sinatraa” Won round out the DPS role. Houston Outlaws’ Shane “Rawkus” Flaherty and San Francisco Shock’s Grant “moth” Espe will play support for the national Overwatch team. Team USA will be able to make changes from its larger 12-player squad should the team make it out of groups. 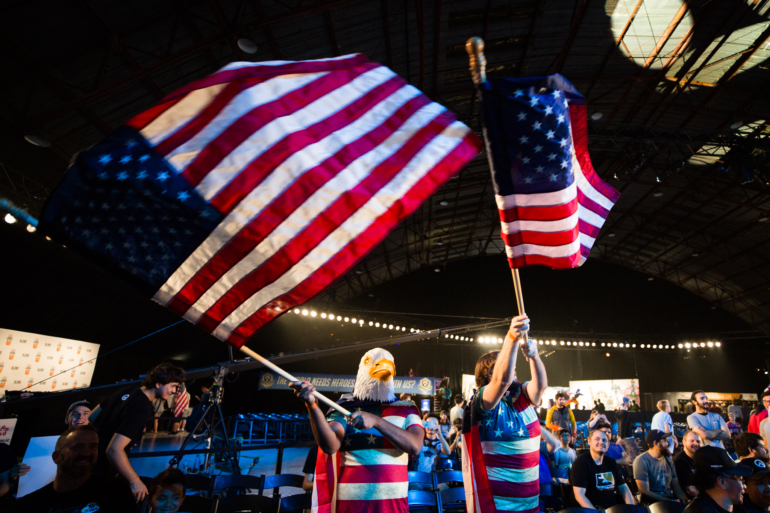 Last year, the United States national team fell out of the Overwatch World Cup in the quarterfinals stage after drawing an unfortunate spot in the brackets—they were up against South Korea in the first round of the main event. This year, the United States team will face Austria, Brazil, Canada, Norway, and Switzerland in the Los Angeles-based group stage. The event, held at Blizzard Arena Los Angeles, is scheduled for Aug. 7 to 9. Only two teams can move on to the main event at BlizzCon in November, and the United States team has put forth a qualified roster to take on the world’s best.